Social workers and helping professionals know so much about burn-out and compassion fatigue. The lived experience of so many working in under-resourced, demanding environments is well-researched. 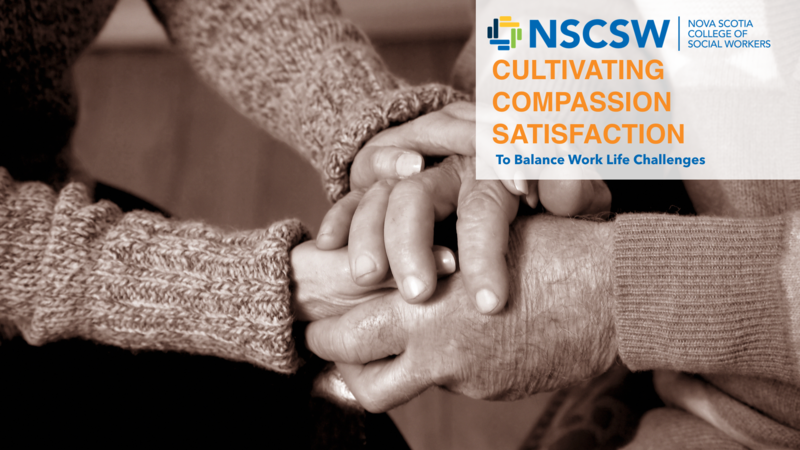 How can social workers and other helpers cultivate compassion satisfaction or joy for the art of helping, in the midst of so many challenges? This is an excellent workshop on how to heal oneself from workplace impacts, as opposed to waiting for the system to progress and notice the wounded. Develop a personalized strategy for cultivating compassion satisfaction and self-care on the darkest of workdays, as a means of reclaiming a clearer sense of purpose and joy in ones’ practice. Explore how to develop and apply personalized wellness plans across work and personal life to fortify oneself holistically – mind, body, and spirit. Christina Wilson has been practicing social work since 1998 after graduating from Acadia and Dalhousie’s MSSW. She has worked in mental health as a clinical social worker for almost 18 years starting at the IWK in 2000 and then as a contracted child welfare therapist since 2003. She has been with the NS Health Authority since 2002 as a member of a very busy multi-disciplinary team in the Colchester-East Hants communities. Balancing family, a demanding private practice, and working in outpatient mental health has taught me so much about the need for self-care, balance, and cultivating compassion satisfaction to mitigate disillusionment and burn-out. As the professional practice leader in mid-2000, she guided a group of over 20 social workers to complete in-house research. This resulted in a self-care strategy proposal that management used to put modified work week options and mildly healthier caseloads, into place.